Nebula is a GCGSR dog lost from her foster home. 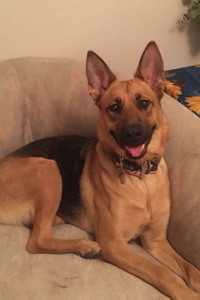 Nebula is a black and tan female shepherd. She went missing Wednesday (5/16/18) morning at about 9:30 a.m. in Rancho Cordova, near Zinfandel and Coloma. She is chipped and is wearing a GCGSR tag with the number 1935. Nebula is very sweet, but is very shy, and likely to run if you approach her. Please call the GCGSR hotline at 877-268-0255 if you have any information. Thank you so much for your assistance. She was adopted about 2 weeks prior to when she went missing when her owner was deployed and the people who where supposed to care for her for the 2 years fell through. 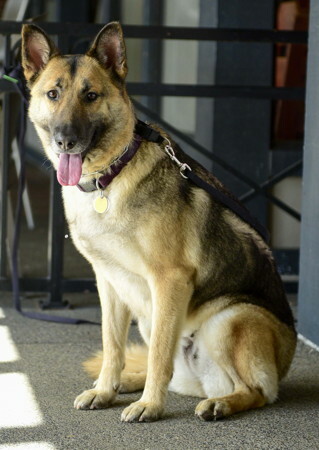 Her new family reached out to us and other GSD rescues after they had exhausted all of the usual resources. She was frightened by two young girls with a large dog who lunged at her through the fence. She cleared the fence and took off. She has been spotted a couple of times but is too frightened to come to anyone. The adoptive family leave in Exeter and think she may be trying to make it back to Lemoore where she was raised.